I walked into the Thompson Center on my first day, not knowing what to expect. In many ways, my new workplace was like any other large organization: big building, thousands of people and plenty of broken computers. Except this building is dilapidated, many of the employees are political hires and the computers will never be repaired, ever. 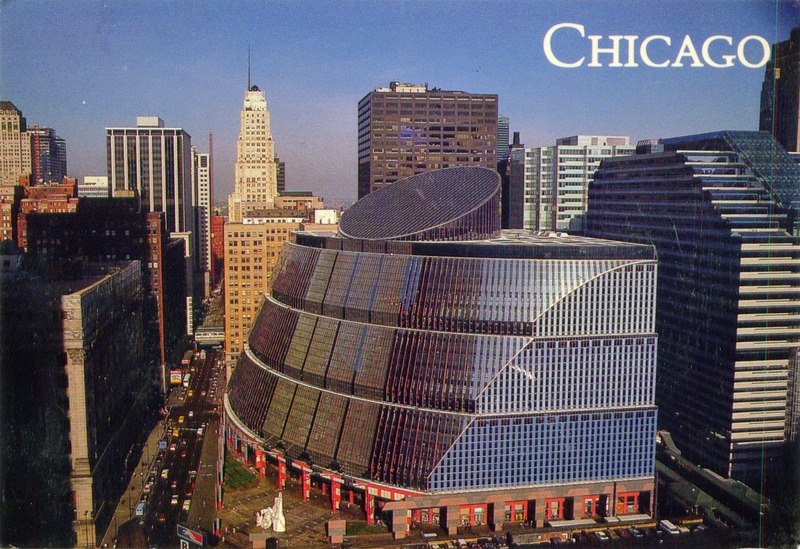 The Thompson Center, where I worked, is a near-perfect representation of (Illinois) state government. It is gross, rundown, and nobody cares. Despite the shoddy condition of the state  fiscally and otherwise  there is a disturbing sense of entitlement among some state employees. We hear all the time that the government is bureaucratic and inefficient. Guess what? It really is. In one case, an employee who was being moved never reported to his new job  but he never showed up again to his old job, either. He continued receiving a paycheck for weeks, until someone realized it and attempted to claw back the money for taxpayers. A view from inside the belly of the beast. The very definition of a bureaucracy. WOW....who would have thought such a wonderful state would be so screwed up...I mean DemoRats have run the place for 100 years or more.....WTF and who cares!!! Just about everyone from toll collectors, DMV clerks, game wardens, etc to all the bureaucratic nobody make work positions infesting every state agency are patronage hires. Everyone has what is colloquially known as a “Chinaman”, a political insider who ensures employment of friends and relatives no matter the competence or qualifications.How do you clean the Aegean stables? Illinois joins Venezuela, North Korea, and Puerto Rico in eating the rotten fruit of socialism. The only way to make a change is for the state to be put into receivership, the management purged, unions eliminated and a complete restart of the government. But it won’t happen. Yes. I usually make this point about school systems, but it is true for all bureaucracies -- if they really do a great job, no one will vote additional funds for them. No need, right? But if they avoid all improvement, if they do an awful job, the money will just keep flowing, they can hire their friends, then can build nice offices, they can go on junkets -- the money is rolling in! -- because they do a crappy job. Thank Scotus 1964 Reynolds v. Sims ruling. Citing a non-existent one man one vote principle, eight Warren Court black-robes ruled that state legislative districts must be of approximately equal populations. Through a rogue interpretation of the 14th Amendments equal protection clause, these masterminds imposed a democratic republic form of government on all fifty states! Never mind the constitution simply guarantees a republican form of government, scotus illegally overruled centuries of wisdom and imposed social justice democracy instead. Illinois Senator Dirksen warned that Chicago would come to dominate Springfield. He was right, and due to Reynolds, Illinois is near bankruptcy and losing population as people flee high taxes, higher unemployment, and societal destruction. If Your State is a Mess. Sadly I’ll bet that most of the employees are Obama’s sons and daughters. And, like Puerto Rico, Illinois will be looking for a Federal bailout and will receive one. The bigger the failure and cronyism, the bigger the bailout. It is coming. I had an apartment right next to the Thomson Center for about 8 months. I had no idea it was a government center — I just knew it had a food court in the lower level. Is this the dilapidated Thompson Center? Yes, go to any government functionary and it is decidedly one tone. The same is true for street cleaners, bus drivers, cops, meter maids, etc. etc. etc. Fixing this mess is not possible. The state employees will defend their nest like bees guarding their honey. All "foreign" intruders will be stung and repelled. Once the first bailout happens, other liberal states will get in the conga line for assistance. Many pension funds are already in serious trouble. Don’t bet on it. The feds will not be underwriting overpaid bureaucrats and their pensioned off kin.